An unidentified Goeldi’s monkey which resembles Kali. Update 2/13/2019 9:09 a.m. ET: Early Wednesday morning, West Palm Beach Police tweeted that “Kali is home!” WPBF reports that detectives returned her to zoo officials late last night, but have not said where she was found. Our original story follows. Have you seen this primate? Authorities in Florida are asking the public for help after a tiny monkey weighing about one pound (one pound!) was stolen from a Palm Beach zoo, the AP reports. Zoo officials told the Sun-Sentinel that Kali, a 12-year-old Goeldi’s monkey, was last seen Sunday night. The next morning, they found signs of a break-in—and Kali was gone. Officials told the paper that Kali requires a special diet and daily anti-inflammation medication. Females like Kali, they said, can be sold for as much as $10,000 on the black market. 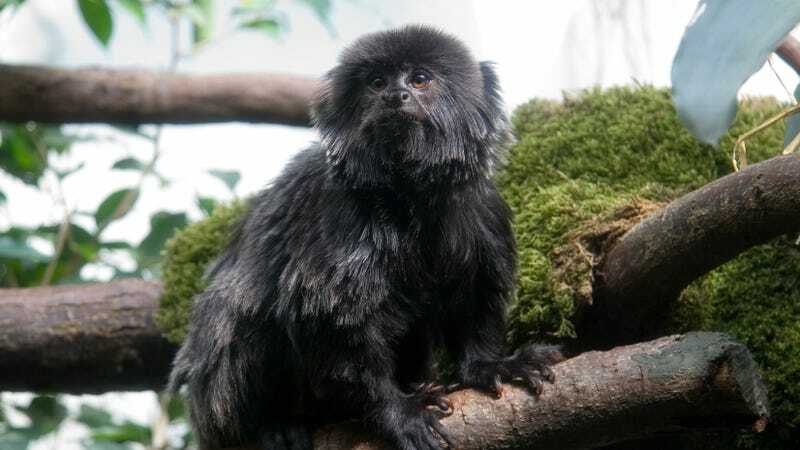 Also known as Goeldi’s marmosets, the rare monkeys are native to the Amazon basin, where they eat fruit, insects, and even fungi. In the wild, Goeldi’s monkeys have been observed living in tight social groups, with individuals usually staying within 50 feet of one another. A total reward of $6,000 is now being offered for information leading to Kali’s return, WPTV reports. Those who can help locate Kali are urged to call Palm Beach County Crime Stoppers at 1-800-458-TIPS.